Hamilton Robinson Capital Partners Quietly Marches Towards Another Add-On Acquisition for Sound Seal, Inc.
Hamilton Robinson Capital Partner’s portfolio company, Sound Seal, a leading manufacturer of acoustical and noise control products serving the industrial, architectural, commercial and construction industries, has acquired The Proudfoot Company. The Proudfoot Company, based in Monroe, Connecticut, is a pioneer of noise control in concrete masonry and will allow Sound Seal to penetrate new markets and applications in noise control solutions. Established in 1965, The ProudFoot Company has built a well-respected reputation for service and quality in architectural masonry acoustics with their SoundBlox® and SoundCell® product lines. The company also offers other noise control solutions including acoustical wall panels, sound absorbing baffles/banners, resonator sound absorbers, foams, flexible noise barriers, acoustical curtains and sound absorbers under the NoiseMaster® brand name. 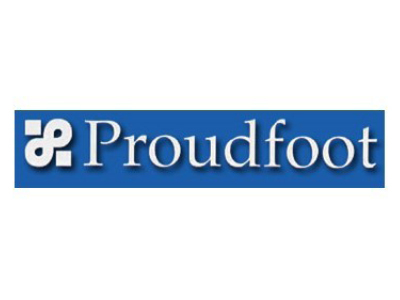 “We are extremely excited about the recent acquisition of Proudfoot. With the unique and innovative solutions they offer, Sound Seal is able to expand its leadership position as a premier supplier to the noise control market. While we will be gaining market share in our existing segments, Proudfoot will allow us to further our reach by adding a line of acoustical masonry products. Proudfoot will become a division of Sound Seal and our portfolio will now include SoundBlox®, SoundCell® and NoiseMaster® products,” said Joe Lupone, CEO of Sound Seal. Since 1978, Sound Seal has been a leading manufacturer of acoustical noise control products offering the widest product selection in the soundproofing industry with innovative solutions and outstanding customer service. Sound Seal consists of three product divisions: the Industrial Division that addresses in-plant noise control and environmental noise control; the Architectural Division that handles interiors and finishes, and the Impacta Flooring Division that offers floor underlayments.